If there is one thing I absolutely love about Red Lobster it’s their Cheddar Bay Biscuits. I always impatiently wait for that basket of cheese biscuits, so I can unfold the cloth napkin and be greeted by a pile of fresh-from-the-oven, steaming hot, moist Red Lobster biscuits that melt in your mouth! Just thinking about those delicious biscuits with melted bits of cheddar cheese and garlic makes my mouth water. Which is why I just had to figure out how to make them for myself. 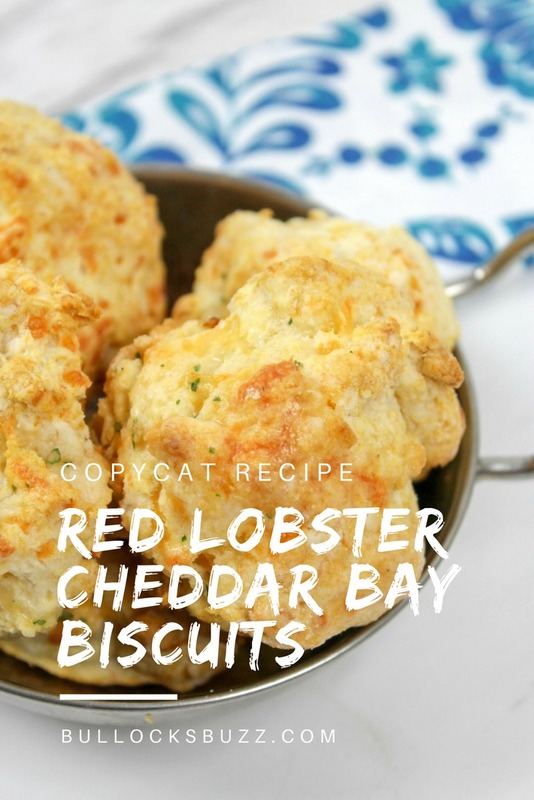 So now, may I present to you, my copycat recipe for Red Lobster Cheddar Bay Biscuits! 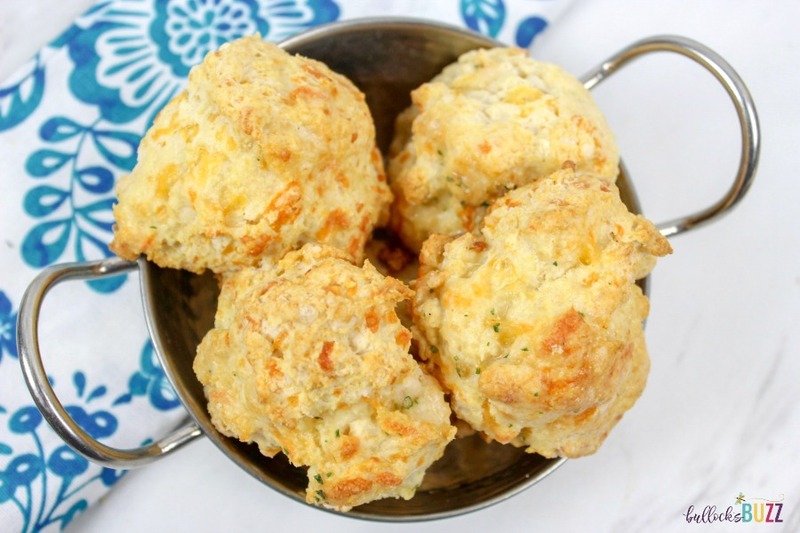 Red Lobster Cheddar Bay Biscuits are very easy to make! You need just a few ingredients and about 15 minutes of prep time. 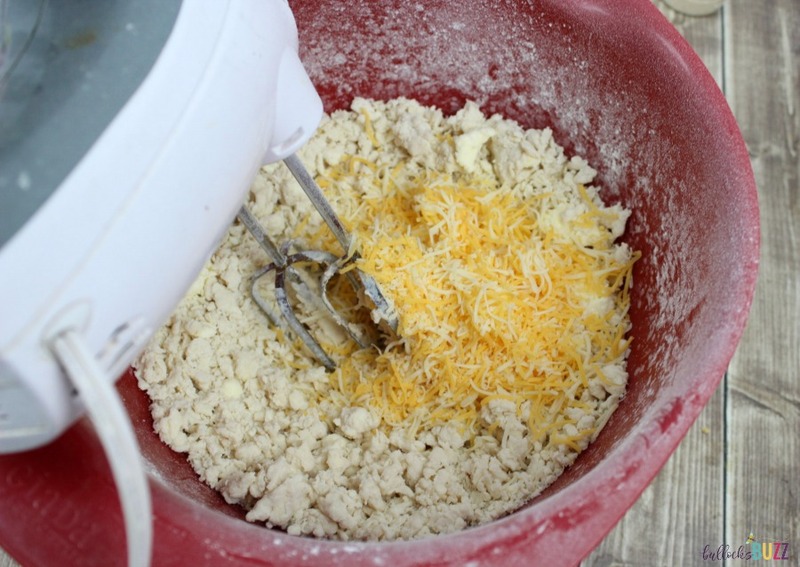 Once the cheese biscuit dough is ready, you simply toss it in the oven and let it bake. Easy-cheesy! The best time to eat these Cheddar Bay Biscuits is right when they come out of the oven and are still warm and moist with steam. 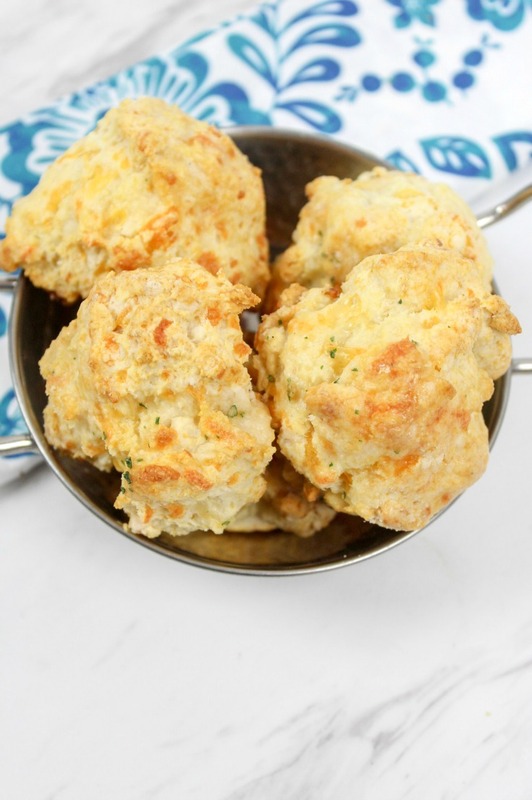 These scrumptious Red Lobster cheese biscuits go perfectly with any meal whether its breakfast, lunch or dinner. I even eat them for a snack! 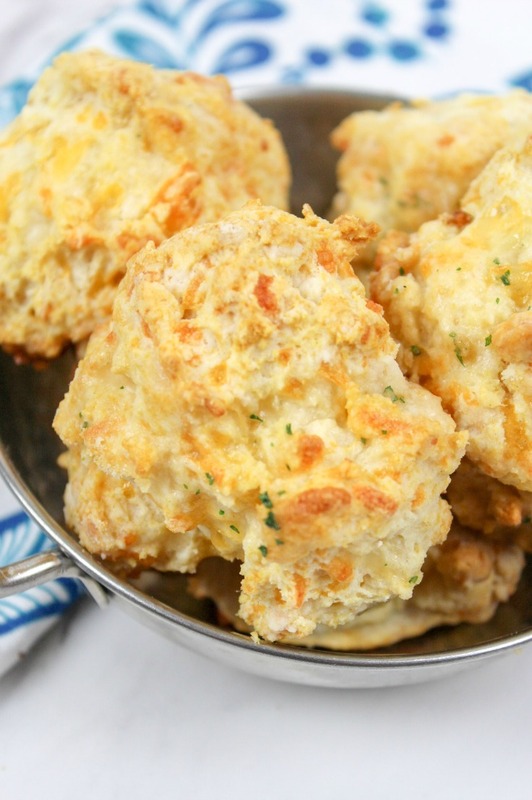 Are you ready to see how to make these copycat Red Lobster Cheddar Bay Biscuits? Begin by preheating the oven to 400 degrees. 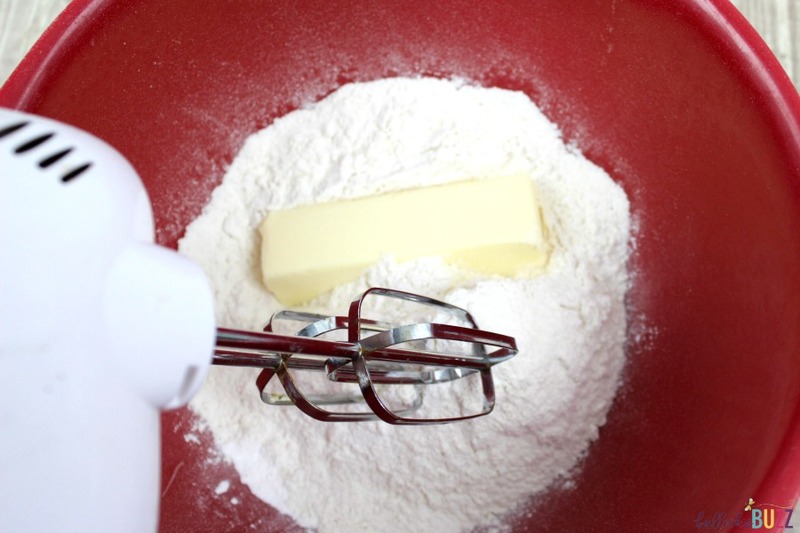 Then, in a large mixing bowl, combine the flour, baking powder and butter. Mix on medium speed until well combined. Now slowly add in the milk, garlic powder and shredded cheese. 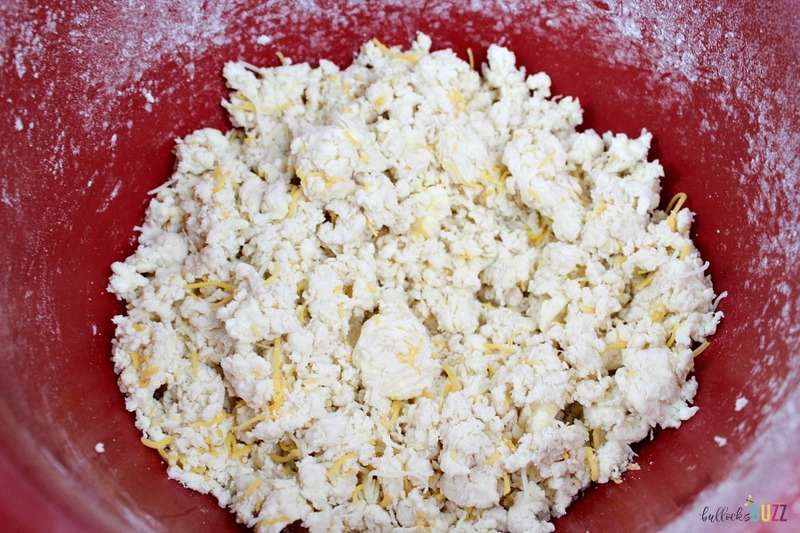 Continue mixing on low until a dough forms. Next, drop the cheddar biscuit dough by the spoonful onto a greased cookie sheet. If needed, gently squeeze the biscuit dough to form a rough ball shape. But don’t worry about making them perfectly round! Place the sheet in the oven and bake for about 20 minutes. 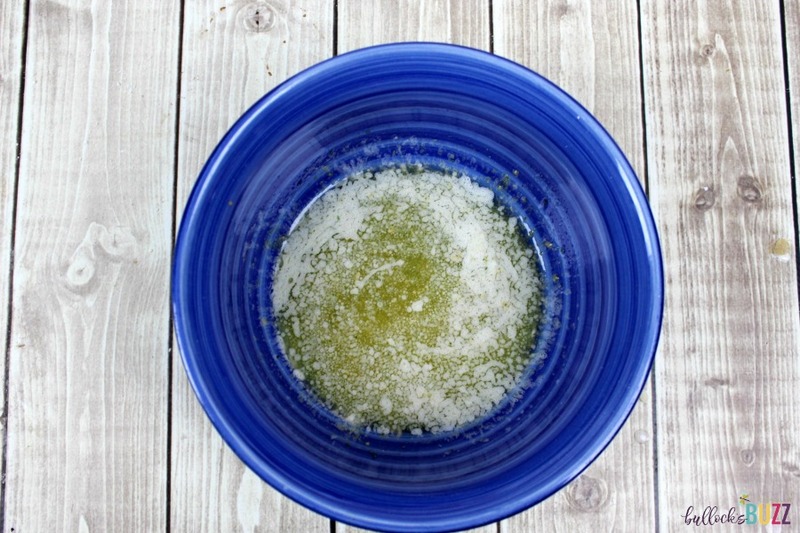 In the meantime, melt the 1/2 cup of butter in microwave, then add in garlic powder and parsley stirring to combine. Once the Red Lobster biscuits are finished, remove from oven. Immediately brush the garlic butter on top of each biscuit.  And that’s it – you’re done! 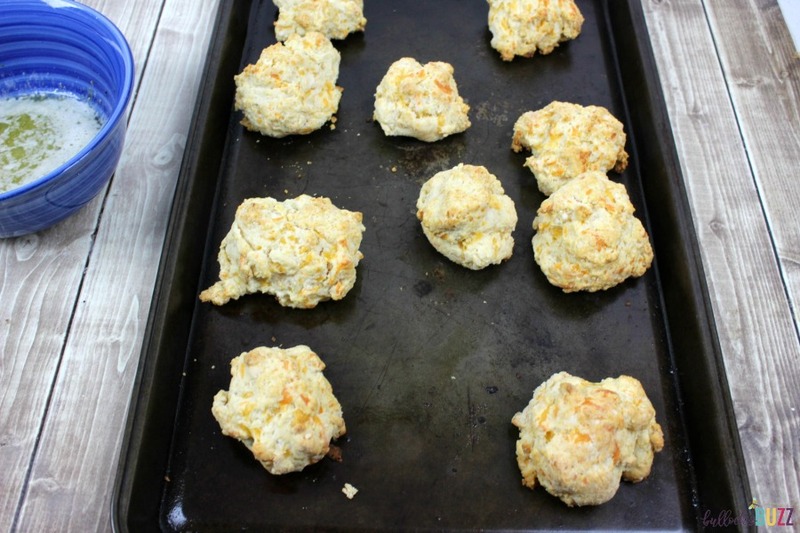 Don’t these cheddar biscuits look amazing?! I can practically smell them! Can’t you just taste that cheesy, buttery, garlicky goodness? Mmmmmm! 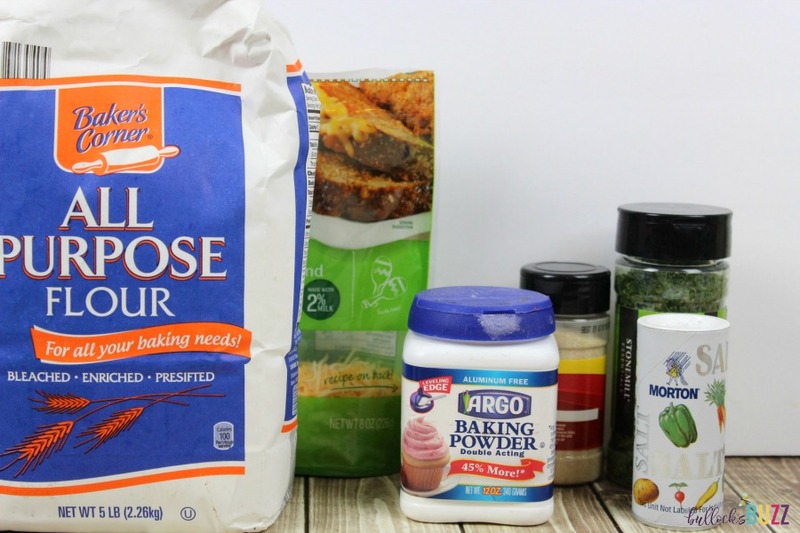 In a large mixing bowl, combine flour, baking powder and butter. 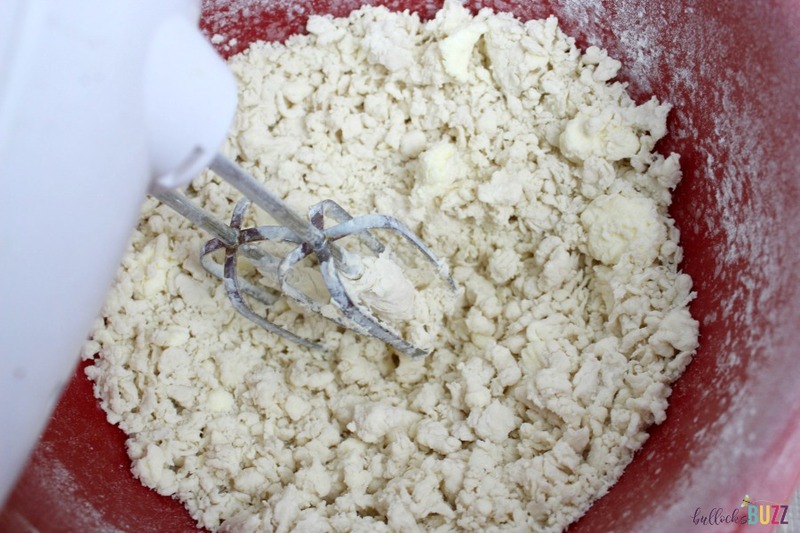 Mix on medium speed until all of the ingredients are combined and look like dough. Slowly add milk, garlic powder and cheese and continue to mix on low speed. 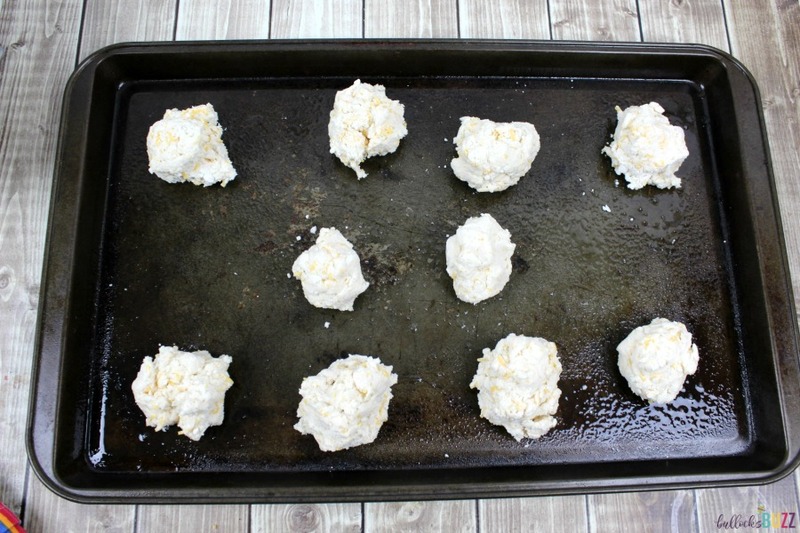 Use a spoon to place blobs of dough onto a greased cookie sheet. Don't worry about making them perfectly round! In the meantime, melt the 1/2 cup of butter in microwave. Add in garlic powder and parsley. As soon as the Cheddar Bay Biscuits are out of the oven, brush the tops with the melted garlic butter topping. 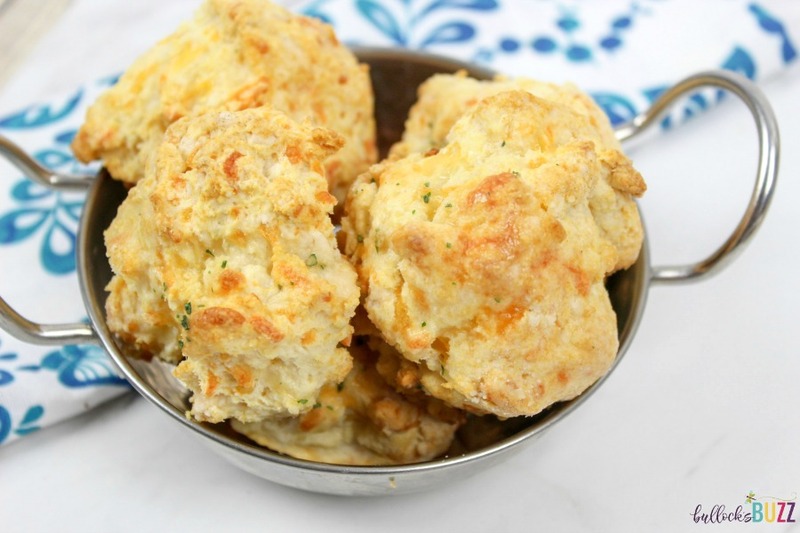 What is your favorite meal to eat Red Lobster Cheddar Bay Biscuits with?